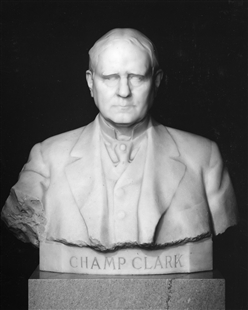 Champ Clark’s Speaker portrait by Boris Gordon was purchased by the Clerk of the House in 1919. This was the artist’s first commission for the U.S. government. He had emigrated from Switzerland in 1907, and later enlisted in the Marine Corps and served in World War I. 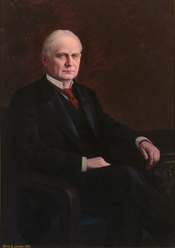 After his military service, he settled in Washington, D.C., and established himself as a portrait artist. The House ultimately acquired 10 portraits by Gordon.